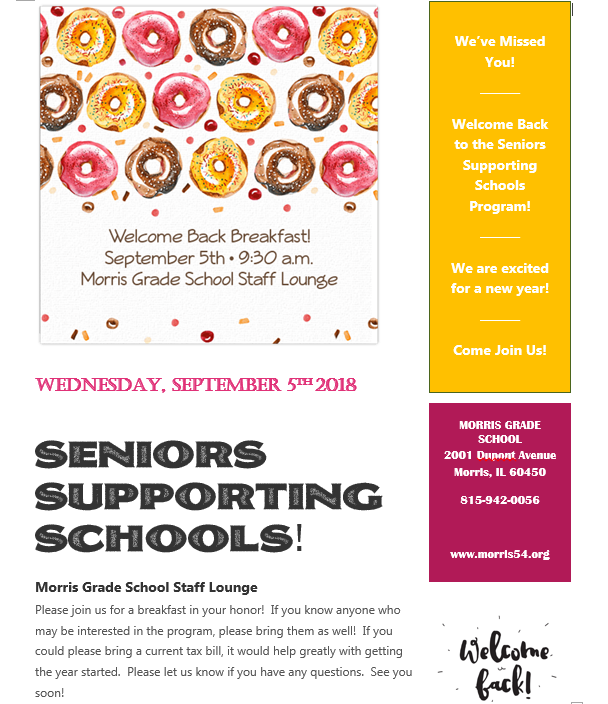 We will be hosting our Welcome Back Breakfast for our Seniors Supporting Schools Program this Wednesday, September 5th, at 9:30 am. Anyone who is interested in learning more about this program is welcome to attend! To be eligible, you must be a property taxpayer within the boundaries of District #54 and age 60 by July 1st. Please follow this link for more information about this wonderful program!